The European/U.K. version. 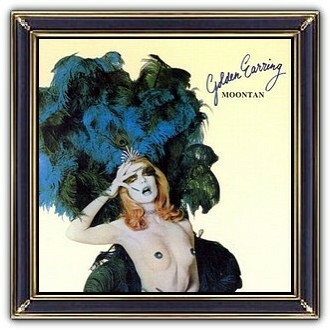 As a former student of the Academy of Arts, lead singer Barry Hay drew the striking cover with the 'exotic dancer' of Moontan. It even won a prize in the United Kingdom. The artwork was divided over the front and the back and the album has to be opened to see it in full glory. Once opened there was also a striking inside: the naked man and the spaceman.Moontan indeed. The U.S. version of the album was originally issued with the UK 'exotic dancer' cover, but was deemed to racy and quickly withdrawn and replaced with the 'earring' cover. The track listing of both versions was also different regarding the number of tracks, the chosen ones and the sequence. Review 1: Considering the cover the UK version is more Arty. Review 2: Considering the track listing the US version is more Musical. Summary: Bad cover = Great album!? Well; that's up to you! 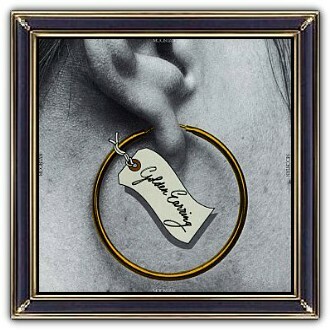 Golden Earring are a Dutch rock band, founded in 1961 in The Hague as the Golden Earrings (the "s" was dropped in 1969). 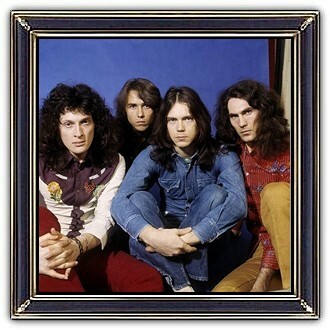 They achieved worldwide fame with their international hit Radar Love in 1973, which went to number one on the Dutch charts, reached the top ten in the UK and went to number thirteen on the US. Over the years they produced 25 studio albums. The band's lineup currently consists of co-founders Rinus Gerritsen (bass and keyboards) and George Kooymans (vocals and guitar), along with Barry Hay (vocals, guitar, flute and saxophone), and Cesar Zuiderwijk (drums and percussion). All musicians in the present lineup of the band have been continuous members of the band since 1970, although other musicians have joined and left the band during the intervening years.